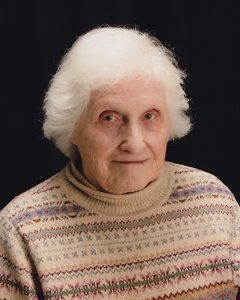 Since 1951, Marjorie Anne Flory has dedicated her life to her passion for writing and editing. She was inspired to enter the field by her father, who was a journalist. She followed in his literary footsteps, has given more than 30 years of service to Reader’s Digest of Pleasantville, N.Y. During her tenure there, she held titles like researcher, associate editor and senior editor. Prior to that, she was a library assistant at the French Embassy Cultural Services in New York. Additionally, Ms. Flory contributed her services to the New York Road Runners Club as an interpreter, and as a volunteer tutor at Volunteer Services for Children. Most recently, she was an editor at Fourth Write Press in Shelburne, VT. She currently lends her talents to the field as a freelance writer and editor, which she’s been doing since 1985. One of her favorite parts of the job is meeting interesting people. Using her strong background, Ms. Flory copy-edited “Made in Italy” in 1988, and was the editor of “More Cooking with Pecans,” which was published in 2003. More importantly, fueled by her love of movies, Ms. Flory co-authored, along with Mary Ann Horenstein, Brenda Rigby, and Vicki Gershwin, “Reel Life/Real Life,” a video guide that evaluates movies as they pertain to life situations on topics ranging from from aging to substance abuse. The four authors and life-long film buffs have pooled their professional experience in social work, education, and journalism to prepare more than 700 penetrating reviews of feature films including classics of early cinema and the latest video releases. ​Ms. Flory prepared for her journey by earning a Bachelor of Arts from Smith College in 1951 and by completing postgraduate work at Columbia University from 1952 to 1953. She kept in touch with her field and community through her membership in the Smith College Club of New York and with the Phi Beta Kappa Society. In recognition of her achievements, Ms. Flory has earned the Who’s Who Lifetime Achievement Award and is featured in Who’s Who in America, Who’s Who in the World, and Who’s Who of American Women. When she is not writing, Ms. Flory enjoys traveling, tennis, studying languages, and choral singing.